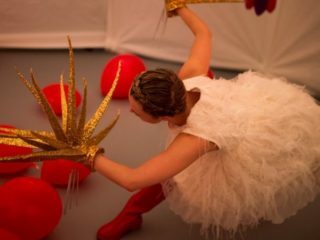 Bringing together artists and audiences from the UK, Norway and Sweden, the new festival of expanded choreography, Fest en Fest, presents a programme of performances, talks, lunches and parties. With the aim to stimulate speculation, risk taking, provocation and meetings across the Nordic and British scenes, Fest en Fest opens up for artists and audiences to come together, share, learn and be a force for change. Fest en Fest is curated by choreographer/performer duo H2DANCE, existing of Hanna Gillgren and Heidi Rustgaard. Follow this link for full programme. Read Norwegian Arts’ Q&A with H2DANCE here.